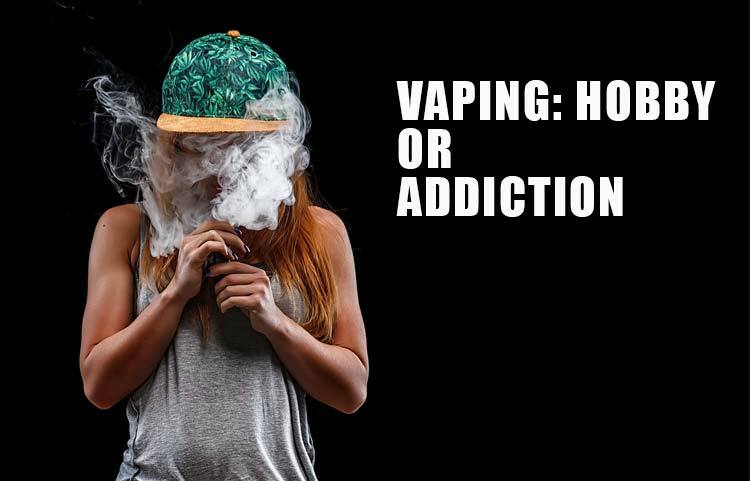 There is a huge debate topic today, whether vaping is considered a hobby or an addiction. Defining vaping, it is the process of converting substances into vapor using an electronic device known as vape or vaporizer that is chargeable and refillable with e-juice, wax concentrate, or dry herbs. Vaping has been a practice even before modern electronic vapes were born. In fact, history tells us that vaping techniques were already practiced in ancient Egypt using hot stones to vape herbs. Vaping is part of our culture and tradition. Is this enough to say that vaping is more of a hobby than an addiction? Is the question, is it a Vaping Hobby or a Vaping Addiction, a valid one? Let’s explore! To start our exploration, it is good to know the facts about vaping first, so we can really determine if a person is enjoying a vaping hobby or a vape addiction. Vaporizing or vaping has a very long history. In fact, around the 5th century B.C, “The Father of History”, Herodotus described ancient Egyptians heating oils and dry herbs on hot stones to vape. Yes, oriental smoking was born a thousand years ago and it eventually led to the invention of vapes in India and various parts of the world. In 1927, the idea of e-cigarette was conceived by Joseph Robinson, and in 1963, Herbert Gilbert made his own “smokeless non-tobacco cigarette”. In the mid-2000s, Hon Lik made a name in the vaping world when he invented the first modern e-cigarette. He created the first e-cig with one thing in mind, to help smokers quit smoking. From his invention, a new industry flourished, the vaping industry, which is now maturing into a sizable segment of the overall economies of many countries. Nicotine is a grandfather substance because it has been a known tobacco compound since humans existed. In fact, tobacco is a major crop of many countries around the world, generating billions of revenues every year. We all know that nicotine can be an addictive substance, especially after cigarette companies tweak the chemistry to make it more addictive to some, and many smokers crave for it either through joints, bongs, or hookahs. With the wide array of nicotine consumption available today, vaping nicotine is now made easier with vapes. E-liquids come with or without nicotine in varying strengths. Is this a proof of a vaping addiction? No. The true amount of nicotine consumed through vaping is still just a fraction of the tweaked-nicotine smokers consume when they smoke. From 2006 to 2007, the United States and Europe were introduced to e-cigarettes. In 2008, there was a quantitative analysis conducted by the Health New Zealand which concludes that the toxicants and carcinogens, some 4000 to 7000 components, that vape critics are saying are present in e-cigarettes were actually below harmful levels, and nearly all were non-existent in eliquid. Yes, vaping is 1000 times less dangerous when compared to cigarette smoking. Also, for most e-liquids, the nicotine dose is comparable to medical nicotine inhalers, making vaping a safe and better alternative to tobacco smoking. We live in the digital age, and we enjoy the products of science and technology as evidenced by high-tech electronic gadgets and appliances like television, computers, and smartphones. Like these technologies, which are common hobbies and even productivity boosters, is vaping more of a hobby than an addiction like vape critics say? With the advancement of modern vaping technologies like induction heating, vapes are powered wirelessly like wireless phone chargers. Today, there are many brands of vape pens, portable vaporizers, and desktop vaporizers with the best features, such as automatic sensors, GPS, precision controls, Bluetooth, and Wi-Fi connectivity, all help to achieve an ultimate vaping experience. Batteries have a longer lifespans and atomizers that are made of high-quality materials like ceramic heating elements, quartz, and even titanium. Some vapes have larger chambers for long-lasting vaping, like the Yocan, and the Yocan Evolve Plus. While there are smokers who are really addicted to nicotine, they can use e-cigs or vapes to quit, and most people don’t develop a vaping addiction. Most smokers don’t switch to vaping with a clear expectation of quitting their favorite hobby… unless a smoker is really serious in doing so. Many are just curious so they try this new vaping hobby while others want to have a readily available nicotine fixer wherein the use of traditional tobacco is restricted or even against the law. 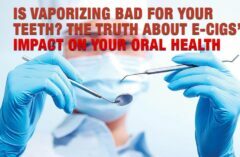 Vape brands know this fact, so they are really determined to educate people about the positive effects of vaping, most especially to heavy smokers who will finally decide to switch to vaping. Yes, vaping is a better and safer alternative to smoking. It is considered as smokers’ newfound vaping hobby. In one study, almost 75% of people who quit smoking also quit vaping within a period of 52 weeks. Those who continued vaping do it mostly as a ‘vaping hobby’, some with and some without nicotine. Some that consider their vape actions as a vaping hobby and not a vaping addiction enjoy nicotine as a mostly-harmless stimulant, much like coffee drinkers and caffeine. And to carry this analogy further, there are plenty of coffee drinkers that invest heavily in expensive coffee makers and coffee blends, and consider their coffee consumption as a hobby. When it comes to vaping there are some that invest in expensive vape gear to enhance their vaping hobby as they see fit. Vaping can be an amazing gift to any smoker who is desperate to quit the bad habit (yet it is still unlawful to advertise vaping as a smoking cessation activity). Vaping converts people to a less dangerous means of nicotine consumption. Rather than focusing on the unwarranted rumors and controversies of vaping, it is best to highlight the positive aspects of a vaping hobby. In the first place, vaping seeks to help people get away from tobacco smoking and not to encourage new nicotine addicts. Today, more smokers have a better option, and vaping manufacturers do their best to enhance the features and reduce risks of vapes. In fact, vapes are now being acknowledged as potential medical paraphernalia with a great promise, most especially to medical cannabis and CBD users. Many vapers are able to control their nicotine consumption because e-liquids are comparable to medical nicotine levels. While there are brands of pods with high nicotine concentration (made with nicotine salts), vaping is still a better alternative, helping heavy smokers finally quit smoking because of satisfied cravings. Vaping is considered a hobby for the majority of people that use e-cigarettes. Smoking however, is a form of addiction. Vapes are a helpful device to assist smokers who want to quit tobacco smoking. While vaping is considered by vape critics as a glamorized new form of nicotine addiction, or a ‘vaping addiction’ they cannot deny the fact that it is a vastly safer alternative, especially with the many improvements made since the first electronic e-cigarette came to existence. In the end, it is you who has a full control of the situation, because a vaping addiction and a vaping hobby are subjective in nature. 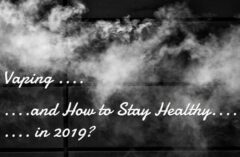 As long as vaping doesn’t disrupt your routine activities, mental well-being, and physical health, or lead to financial ruination, vaping is always regarded as a hobby and not a vaping addiction. Setting your boundaries and having a sense of responsibility makes vaping a more meaningful experience every time. Next : Vaping vs Smoking – How Much Do You Save?